Drivers must be at least 23 years old and have a valid commercial driver’s license, CDL class A. Company will not consider a driver with multiple drug/alcohol violations regardless of date of occurrence. 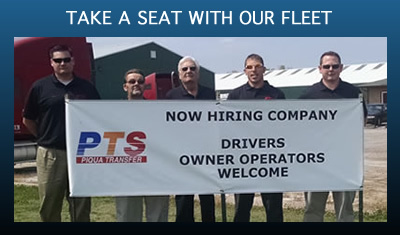 Please contact our personnel supervisor Jon Basye for a full list of driver guidelines and with any other questions you may have regarding driver requirements or our employee benefits.